Design Flows. Logic Synthesis. 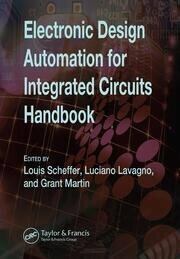 Power Analysis and Optimization from Circuit to Register Transfer Levels. Equivalence checking. Digital Layout - Placement. Static Timing Analysis. Structured Digital Design. Routing. Exploring Challenges of Libraries for Electronic Design. Design Closure. Tools for Chip-Package Codesign. Design Databases. FPGA Synthesis and Physical Design. Simulation of Analog and Radio Frequency Circuits and Systems. 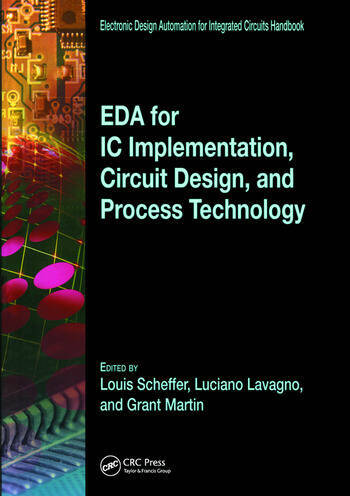 Simulation and Modeling for Analog and Mixed-Signal Integrated Circuits. Layout Tools for Analog ICs and Mixed-Signal SoCs. Design Rule Checking. Resolution Enhancement Technology and Mask Data Preparation. Design for Manufacturability in the Nanometer Era. Power Supply Network Design and Analysis. Noise Considerations in Digital ICs. Layout Extraction. Mixed-Signal Noise Coupling in System-on-Chip Design: Modeling, Analysis and Validation. Process Simulation. Device Modeling: From Physics to Electrical Parameter Extraction. High-Accuracy Parasitic Extraction.